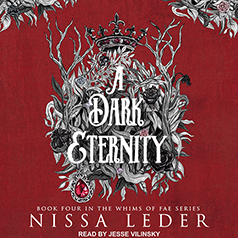 Nissa Leder presents Book 4 in the Whims of Fae series. Since absorbing the power of The Life Tree, everything has changed. Scarlett is queen of a realm, that until a few weeks ago, she didn't even know existed and has more magic than she ever thought possible. But she worries it still isn't enough to protect those she cares about or to find a way to bring Raith, who had sacrificed himself to save his mother, back.